The 4 Latest… What’s happening at steve mckenzie’s?!? If you follow steve mckenzie’s on Instagram or Facebook, you know we’ve been busy! It’s been wonderful and this fabulous fall weather we’ve been experiencing – albeit a bit warm – only adds to the fresh feeling the change of seasons brings. First up – the press! We couldn’t be more thrilled for the fantastic mentions, features and product shout-outs we’ve recently received. Thank you to those who’ve taken a moment to recognize steve mckenzie’s and/or read about us in the news!! It was such a delight to open the Sunday AJC and see a fantastic feature about steve mckenzie’s nestled in the pages of the Homefinder/Lifestyle section by our friend Linda Jerkins. We hope this fun feature gives you a better glimpse into what steve mckenzie’s is all about! A shout out to Kate Abney and The Atlantan Modern Luxury, for highlighting the new organic pieces by Selamat Designs, now available at steve mckenzie’s – we absolutely adore these new pieces. Thanks to the fantastic Style Blueprint for featuring steve mckenzie’s skull toothpick holder in their October Finds post! A new greeting card line. That’s right – we’re offering an all-new greeting card line based off Steve’s original artworks. There’s something for everyone here! They’re whimsical, celebratory and even masculine; which can be a difficult style to capture in a greeting card. We hope you love them and love to gift them! steve mckenzie’s new art print line. You no longer have to purchase an original work to bring a piece of fine art by Steve McKenzie into your home! Our art print line is now available for purchase at a price point that makes living with fantastic art accessible for anyone. Lastly – Halloween Happies! Come in to the steve mckenzie’s showroom today and be inspired for the spookiest holiday of all… We have so many fanciful items that will put you in the Halloween spirit! There you have it. The latest happenings at steve mckenzie’s! And get prepared, as the holiday season approaches, there will be more going on. So be sure you’re keeping up with our Facebook and Instagram sites and checking back with the blog. We don’t want you to miss a thing! Blissful Baby Gifts… Classic, Timeless Treasures for Babies. Want to gift the newest little one in your life with something that will stand the test of time and grow with them? Look no further than the selection of beautiful baby gifts at steve mckenzie’s! While these items may not be typical to a traditional baby registry, they are gifts the parents, and in a few years, the young person will truly love and appreciate. These are absolute treasures, and classic baby gifts never go out of style. Made by Salisbury in the USA, these stunning pewter baby cups are exceptionally styled and feature fine quality handcrafted details. A monogrammed baby cup is a forever gift, and with our quick turnaround time and complimentary gift wrapping, a lovely gift to give and receive. Made by Alicia Adamas Alpaca, these beautifully crafted baby items are supremely soft and will become instant favorites of the new parents… Baby will sleep soundly swaddled in a sweet alpaca baby blanket, or look ever so cozy in an alpaca onesie or cute pair of booties. And again, you’ll be pleased with the quick turnaround time of these items through steve mckenzie’s. A special delivery calls for an equally special card, and our selection of artfully designed greeting cards will add an ideal finishing touch to any baby gift. Your card from steve mckenzie’s will make it into the baby book for sure! If you’re shopping in celebration of a new baby, please stop by – or call – steve mckenzie’s today and we’ll help you select the perfect gift, which will become a lifelong treasure! The late Alexander Girard has been an inspiration to Steve since first seeing his iconic mid-century designs. When you think of mid-century design, chances are you envision a Girard design, whether you know it or not. As a multi-platform designer, Girard is especially meaningful to Steve, as he continues to expand his own design platforms, from painting to textile and interior design… With style icons such as Alexander Girard, who knows what could come next for our own Steve McKenzie?!? Alexander Girard was widely known for his textile design which introduced vibrant colors and playful patterns to mid century modern design. Girard was born in New York City to an American mother and an Italian father, but raised in Florence, Italy. Girard studied architecture in Europe. He returned to the United States in 1932, and started a career as a designer. His career took off after designing “For Modern Living” exhibition at the Detroit Institute of Arts in 1949. Three years later, he was offered a position as the head of the textile division at Herman Miller, Inc.
At Herman Miller, Girard successfully introduced a new concept in textile design with his vibrant color palette and playful patterns inspired by traditional folk art he cherished. In early 1950s, fabrics were merely functional, but they tended to be dull and plain. His textile designs complemented the furniture designs of his fellow mid century modern designers, Charles Eames and George Nelson. Girard’s work at Herman Miller continued until 1975, designing hundreds of fabrics as a result. He also developed a seating collection for the company between 1967 and 1968. Originals from this collection are rare and highly desirable among many collectors today. Apart from Herman Miller, Girard designed three restaurants in 1960’s: the La Fonda del Sol restaurant, in New York City; the L’Etoile Restaurant, also in New York City; and the Compound Restaurant, in Santa Fe, New Mexico. He also contributed in a design project of Braniff Airlines in mid 1960’s, totally redesigning everything from the condiment packets to the planes themselves. During 1960’s, Girard and his wife Susan moved to Santa Fe, New Mexico where he founded the Girard Foundation to manage more than 100,000 pieces of his folk art collection. This enormous collection was donated to the Museum of International Folk Art in Santa Fe in 1978 and recognized as the world’s largest folk art collection today. In addition to his work with Herman Miller, Girard also worked on the Saint Louis Arch with Eero Saarinen, designed furniture for Knoll, designed the Irwin Miller, Cummins Engine offices in Columbus, IN (Jill’s family’s hometown), and worked with Eero Saarinen and Dan Kiley to design the Irwin Miller Home, one of the greatest pieces of iconic modernist aesthetic. Recently, Alexander Girard designs are back on the current design scene, thanks to a new Girard inspired collection now available through Paperless Post. They’ve taken some of Girard’s most memorable designs and transformed them into digital stationary – something we think the designer would’ve gotten a real kick out of! How about you – are you an Alexander Girard fan?? Twenty one years ago, Valentine’s Day gifts took a backseat for Steve and Jill when they welcomed their son, Carter, into the world on February 14th, 1993. The day before the big day, Carter decided to flip around into breech position, and in turn, a surprise c-section was performed the next day – Valentine’s Day. What a special gift the McKenzie family will remember each Valentine’s Day – and what a great way to easily remember Carter’s birthday! As you can imagine, each Valentine’s Day after that was one spent celebrating Carter! 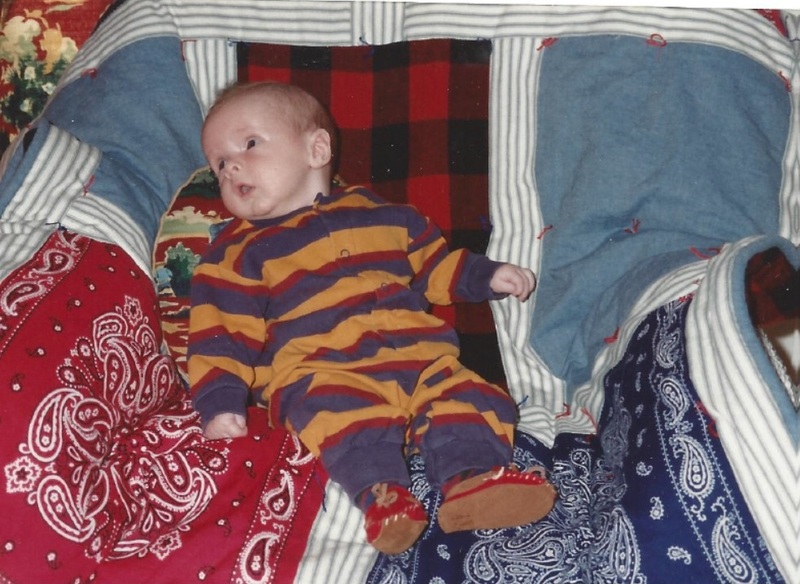 Baby Carter McKenzie, born on Valentine’s Day 1993! 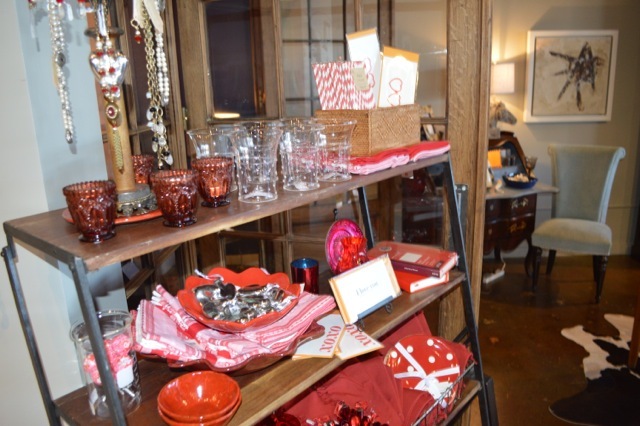 If you don’t have your own little (or in our case, now big) bundle of joy to celebrate on Valentine’s Day, you may be looking for the perfect something for your special someone… If that’s the case steve mckenzie’s is your destination for memorable, and meaningful Valentine’s Day gifts! Forget the flowers and chocolates this year, and give your loved one(s) something they’ll really treasure. This letterpress card by our friends at Red Bird Ink simply states your feelings, but in the most lovely way. If your loved one is a stationary snob like us, they’ll love the luxe cards we have to offer! 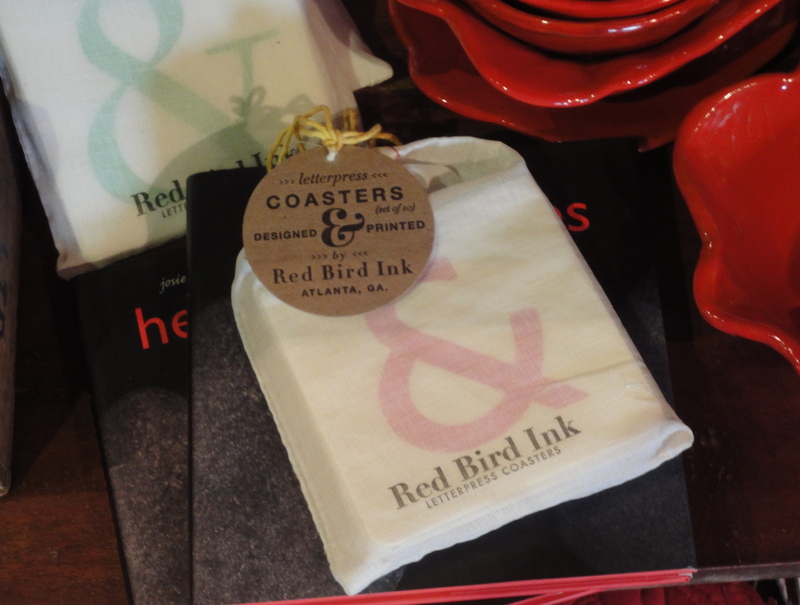 Also by our friends at Red Bird Ink, letterpress ampersand coasters. 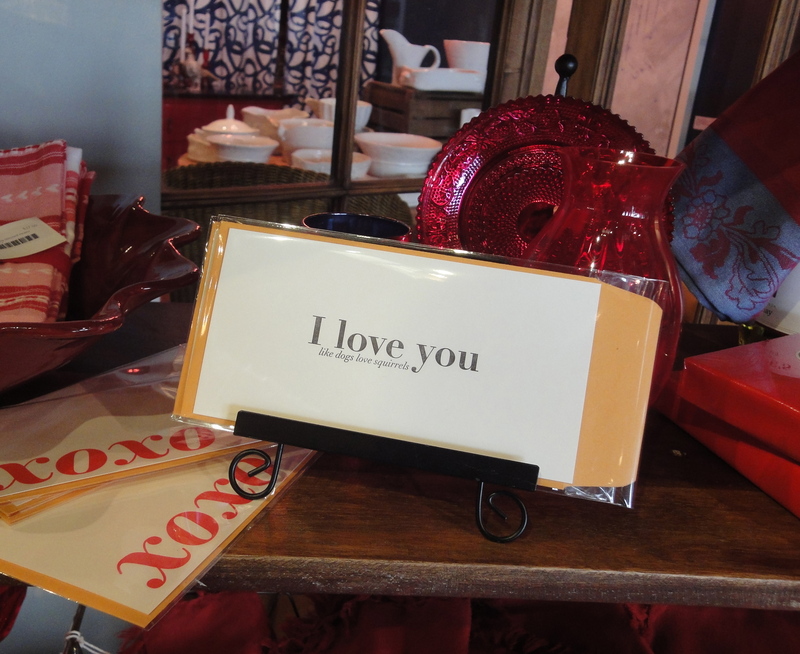 Celebrate your love over a glass of bubbly, set on these adorable coasters; perfect for the most romantic day of the year! Really knock her socks off this year with a gift from our collection of Grandmother’s Buttons jewelry. These rich, red tones are ideal for Valentine’s Day, and the thought and care that goes into crafting each piece will be reflected in your gift. Come visit us today and check out our assortment of beautiful items, handpicked to help you celebrate with your loved ones this Valentine’s Day. And, don’t forget, your purchases this month can mean even more when you mention this post and have 10% of your purchase go toward steve mckenzie’s donation to the American Heart Association for Heart Health Month. Happy Valentine’s Day – and happy birthday Carter!